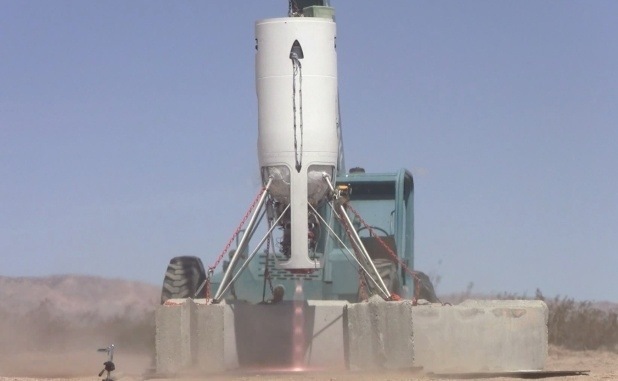 Xaero B vertical landing rocket demonstrator completed first hot fire tests at Mojave, Calif, on April 9. The Xaero is a re-configured, more powerful, higher-altitude version of Masten’s Xombie which has been demonstrating precision flight control and landing. This craft should be capable of 6km hops, an even larger upgrade could do 200 km! They will carry various NASA sponsored payloads. What I find interesting is this progress juxtaposed with a piece regarding the AF reusable Booster program, canceled last year. Of course the demo program was ambitious, leap ahead and risky + expensive. Perhaps it shows that the more incremental commercial approach is superior; more robust, affordable and supportable especially with todays design, analysis and fabrication technology. This entry was posted in eSpace, Space and tagged flyback, rockets, Vertical up vertical down by Sci Fi Engineer. Bookmark the permalink.